I am currently working in Riydah, the capital of Saudi Arabia for a month for a low-cost airline. Saudi Arabia is a bizarre place. Women are not allowed to drive or work (except if serving women). There are separate lines and seating for the men, women and families. Even owning a cat or dog is forbidden. There’s a square in the center of town called ‘Chop Chop Square’ where they conduct public executions (taking death row to a whole new level). There are no bars or cinemas and many websites are blocked, so entertainment is rather limited. The 45 degree celsius heat also affects what you can do! The project has been really interesting though – trying to help our client improve their on-time performance and develop a growth strategy for the airline. There’s been 5 of us working down here for the month. 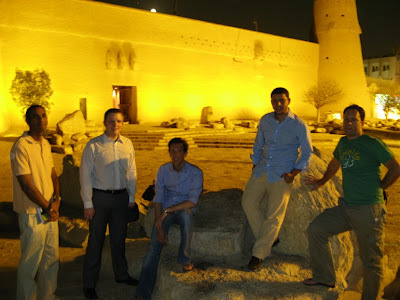 I made weekend trips to Dubai, Yemen, Kuwait and Oman. Dubai is the opposite to Riyadh – a Las Vegas of the Middle-East with non-stop shopping, entertainment and even an indoor ski slope. I went out with a friend from business school and her work colleagues. All the social activities and bars are centered around hotels and you cant spend anytime outside due to the Summer heat. The beaches are quite nice, but with the extreme heat I couldn’t manage very long. I also got to fly the Emirates A380 from New York to Dubai on it’s first week of flying. 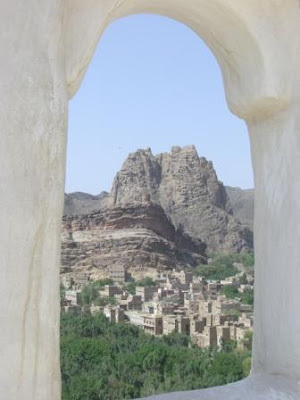 Travelling around Yemen could not be more different - like stepping back to medieval times. The country doesn’t appear to have been affected by modernity at all. The men all walk around in white robes, with large round daggers tied to their waist. They chew constantly chew Qat, an addictive stimulant and apparently almost 20% of average household income is spent on the stuff. 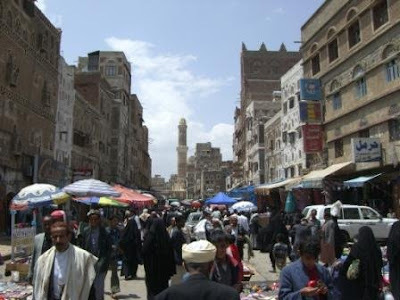 The old town of Sana’a is pretty and vibrant, surrounded by an old city wall and with buildings that rise upto 8 stories (see photo). As I wander through the narrow streets it feels like you’re in one never ending maze of a market. I look into a small room and I see a camel tied to a pole going around in circles grinding wheat. The driving in Yemen is one of the worst in the world, with no rules and a lot of beeping and near-misses. I spent a day driving around various towns and palaces in the mountains around the city, to Shibam and Dar Al Hagr. The most frustrating thing was the flight back to Riyadh. My flight with Yemenia was overbooked by 15 people and I had to spend 8 hours waiting around the airport before being rebooked and given a hotel and then travelled the following morning. I’m done with travelling on developing country airlines! There’s not much to be said about Kuwait. It’s small. It has few sites. It’s boring. Oman, on the other hand was very interesting. 30 years ago the country had 2 primary schools and 2 hospitals, 10km of sealed roads and that was the sum total of its public infrastructure. Today it is one of the most advanced countries in the Middle-East and is almost as clean and orderly as Singapore. And what is most impressive is that the country does not have the oil resources of its neighbours and has advanced through the sheer hard work of the Omani people. I stayed at the amazing new Grand Hyatt hotel in Muscat (the capital) which is on the beach and looks like something from Disneyland. The city has some interesting sights, including a fish market, Souq, old walled city and several forts (and it’s always the fort that counts). So overall, it’s been an exciting month and a great opportunity to further explore the region.